How to hide adult movie files from your Kids on Windows 10? What PRIVATE information does your computer store about you? Maybe you only want to hide adult movie files from your Kids? 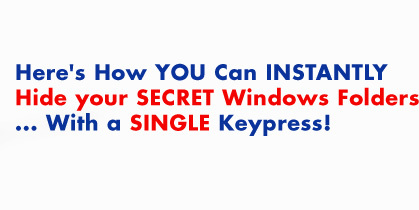 Here’s how you can instantly hide your secret Windows folders with a single key press! Just about everyone stores personal information on their PC. From private e-mail messages to adult movies, many of us have something to hide. The problem is no one seems to be hiding it! Anyone using your PC (spouse, children) can instantly view the files and folders on your computer using Windows Explorer. And if your firewall is disabled or incorrectly configured, you might be broadcasting your private information to the world! Plus, don’t think that setting a Windows password, a document password, or using the Hidden flag on a folder works. Each of these systems can be outwitted ? even by a computer newbie. You need to hide and password protect your private folders and files! 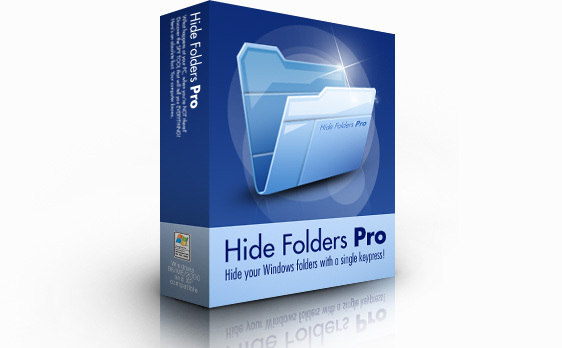 Hide Folders Pro is the key to one of the most powerful folder and file protection shields available anywhere! Hide Folders Pro is the easiest tool for hiding your folders—in seconds. Simply add a folder to the list, and let Hide Folders Pro work around-the-clock to protect your privacy! From the moment you tell Hide Folders Pro to make your folder invisible, the folder vanishes completely. Shortcuts and recently used file lists are rendered useless. Even skilled hackers and viruses won’t be able to touch your files.